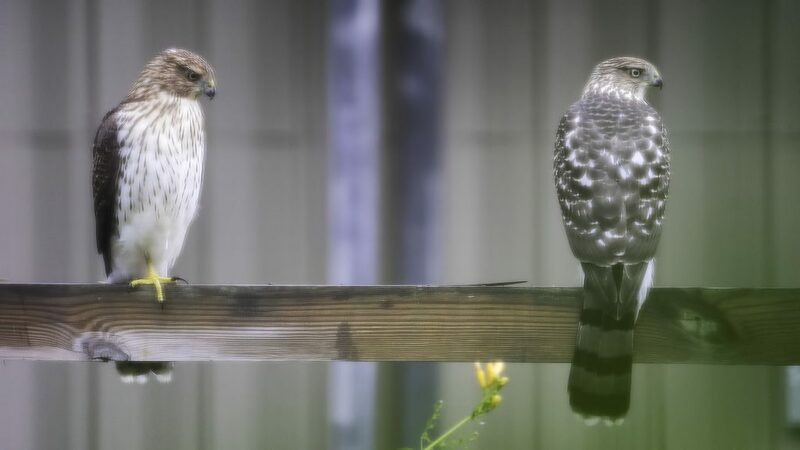 I’ve had a pair of Cooper’s Hawks nesting in the Pines across the street from the house this summer and the feeder birds have had their share of run ins with the adults. 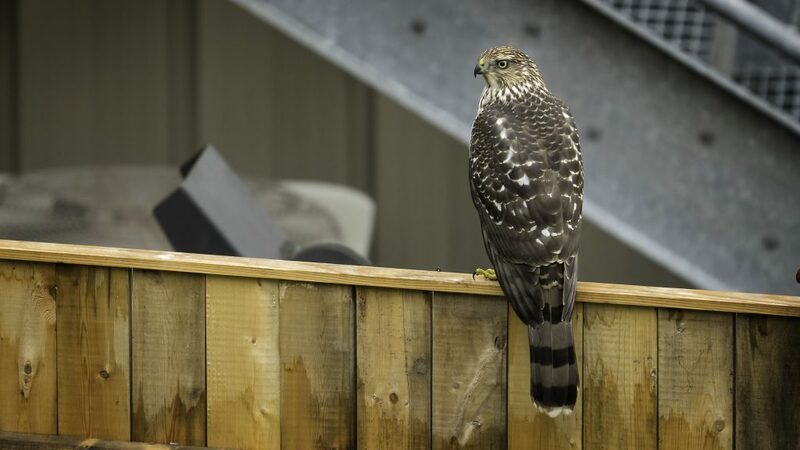 This morning a pair of just out of the nest Cooper’s, looks like a male and female to me, hung around the yard for a few hours chasing a pair of squirrels and harassing the Crows that have made my yard home this summer. I stuck a microphone on the kitchen window sill before the traffic started up this morning and managed a few minutes of interesting audio with the Cooper’s calling and the Crows & Hummingbirds complaining about their presence. 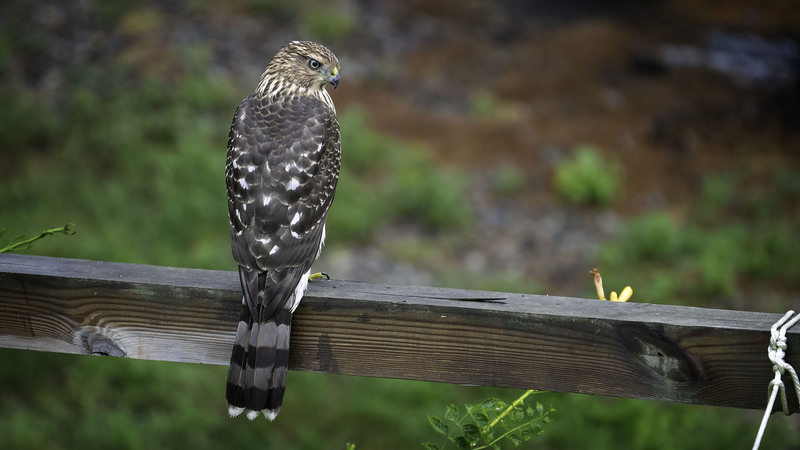 3 minutes of audio from August 12, 2017 with a light rain, the Cooper’s Hawk, several Crows, a 1/2 dozen Hummingbirds and other assorted birds mixed in. 6 minutes of audio from August 6, 2017 of the Cooper’s Hawks, Crows Hummingbirds and several others. The young Hawks weren’t bold enough to sit in the open yet.